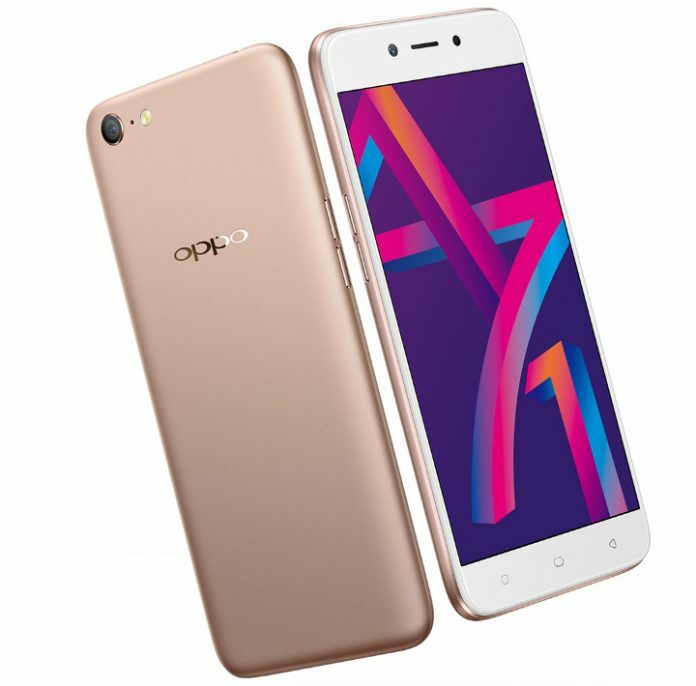 Oppo has launched its latest smartphone, dubbed as the Oppo A71 (2018) in India as the successor of the Oppo A71 that was launched in India back in September last year. The Oppo A71 (2018) comes with a Qualcomm Snapdragon 450 processor and AI beauty recognition feature. It is priced at Rs. 9,990 and is available via Flipkart. The Oppo A71 was introduced in Taiwan and Pakistan recently, however, the Indian version comes with 3GB RAM compared to the global version which has 2GB of RAM. Also, the phone has similar specs as the predecessor A71, including a 5.2-inch HD display, 13MP rear, and a 5MP front camera. However, this is powered by the Snapdragon 450 processor instead of the MediaTek MT6750. The Oppo A71 (2018) comes with a unibody metal design with 5.2 inch HD (1280 x 720 pixels) IPS display. The phone doesn’t have a fingerprint sensor. The dual SIM phone runs on Android 7.1 Nougat with Color OS 3.2 on top. Powering the phone is a 1.8GHz Octa-Core Snapdragon 450 processor with Adreno 506 GPU. Memory wise, it packs 2GB RAM and 16GB internal memory which is expandable up to 256GB with a microSD card. Coming to the camera department, the phone sports a 13MP rear camera with LED Flash, PDAF, and f/2.2 aperture. The highlight of the phone is its 5MP front-facing camera that comes with 1.4μm pixel size, f/2.4 aperture, and AI beautification technology. Connectivity options on the phone include 4G VoLTE, WiFi 802.11 b/g/n (2.4/5GHz), Bluetooth 4.2, and GPS. The phone gets juice from 3000mAh battery. Dimension wise the phone measures 143.1 x 73.8 x 7.6mm and weighs just 137g. The Oppo A71 (2018) is priced at Rs. 9,990 for and comes in Gold and Black colors. The device is already available via Flipkart.